I think putting fruit in salad must have originally been one of those It’s So Crazy It Just Might Work ideas. You see it all over the place now, it’s so logical it hurts. Not to mention tasty. 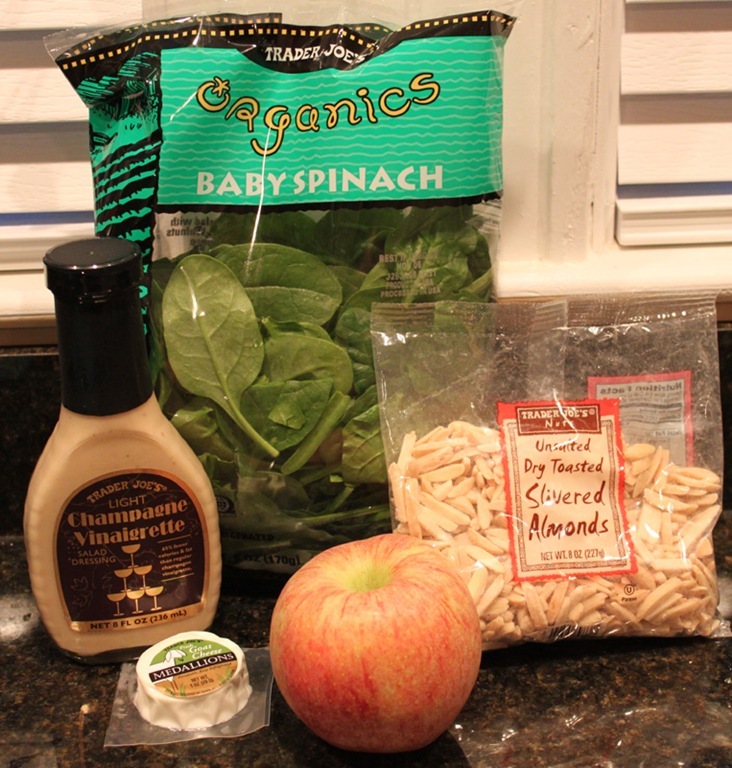 I saw this apple and spinach salad over on Annie’s Eats last week and couldn’t wait to make it with our freshly picked apples. I jazzed the recipe up a bit and served it to my reluctant husband. Needless to say, he inhaled the whole bowl in about 2 minutes. I used 2 tbsp. of Trader Joe’s Light Champagne Vinaigrette but you could use anything light and vinegar-y here. Heck, you could make your own simple dressing if you have champagne vinegar on hand. Smitten Kitchen has an excellent go to classic salad dressing recipe that you should really try. 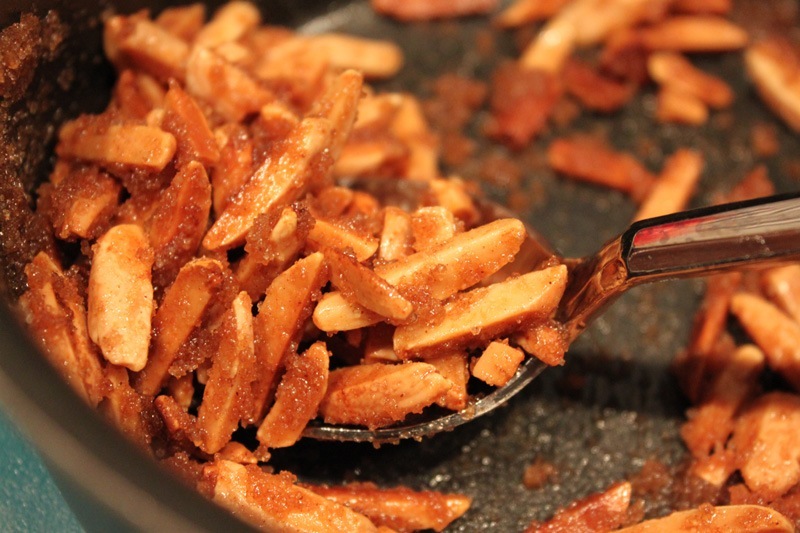 To candy the almonds melt the butter over medium heat in a small saucepan, add the almonds, add the brown sugar, and stir until everything is combined. 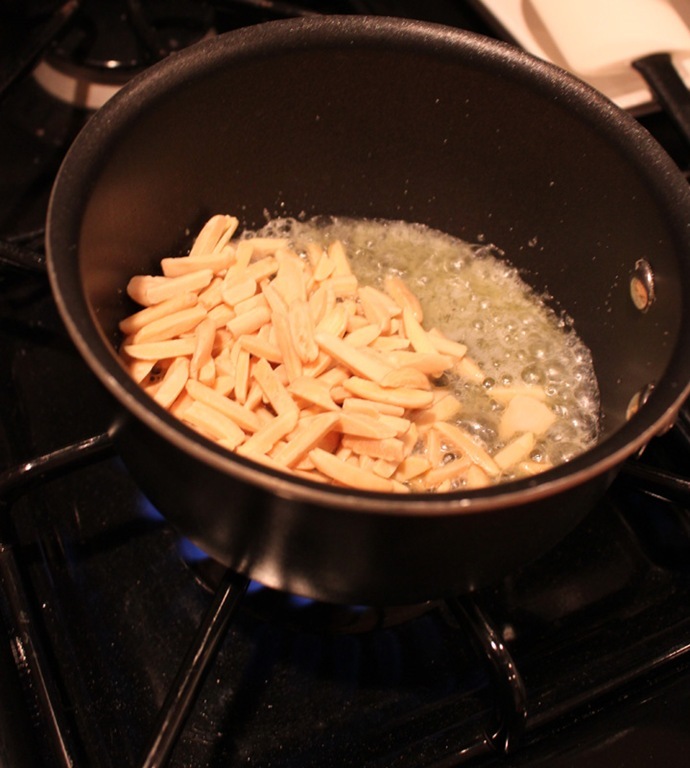 Remove from the heat once the sugar has coated all of the almonds. 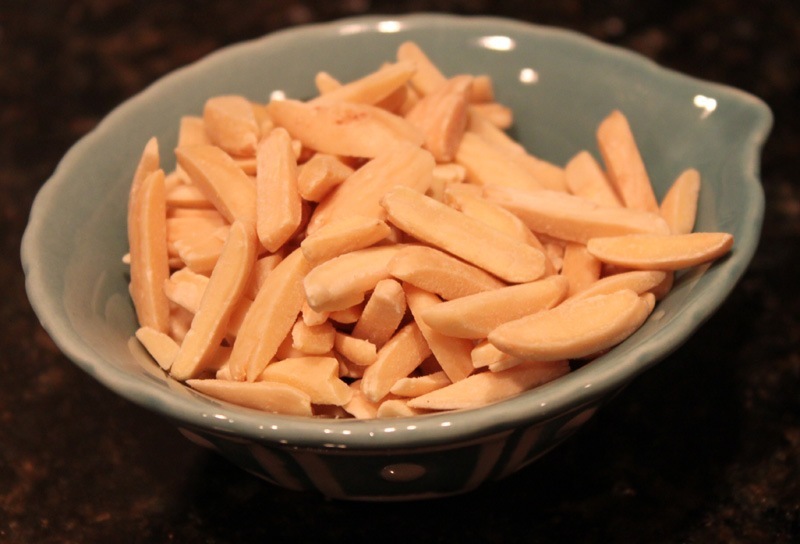 Let these cool for a bit, they get hot and will burn your tongue! Next slice the apple in whatever size slice you prefer (I sliced mine paper thin). 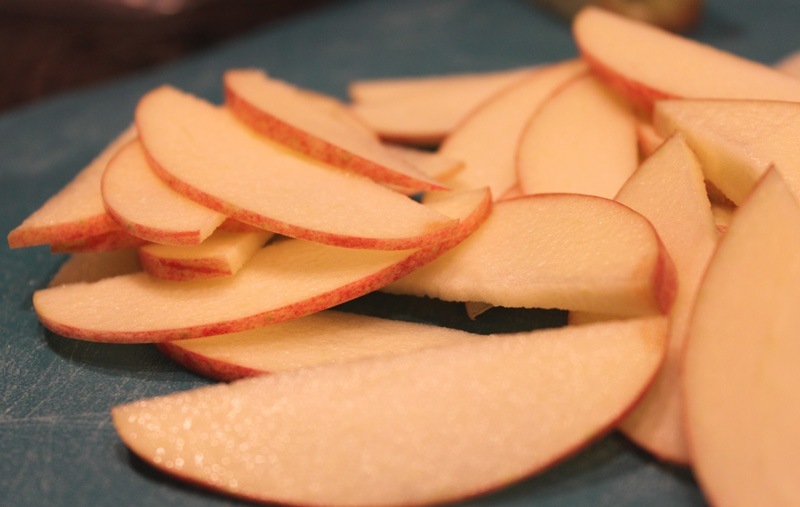 I also left the skin on because I like the texture but you could peel the apple first if you like. 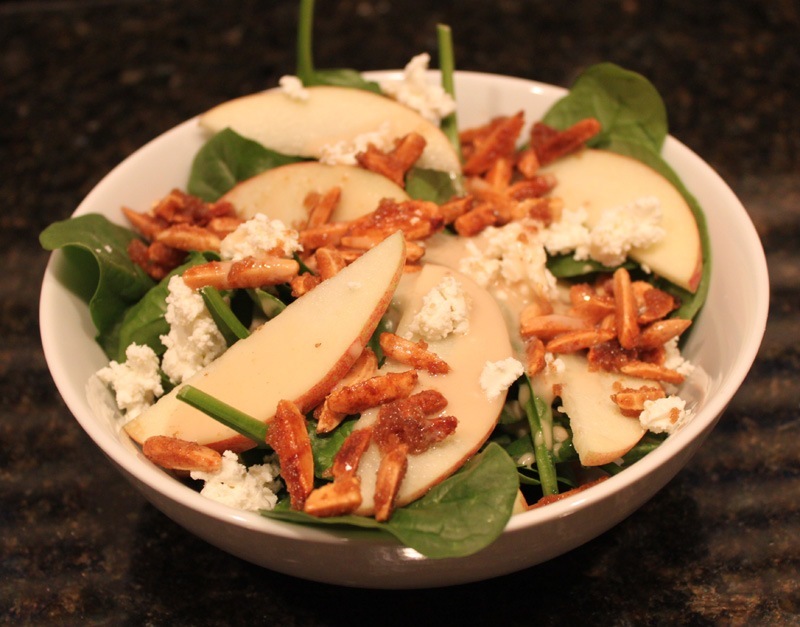 To create your salad start with a layer of apples in a bowl, then a few handfuls of spinach, add another layer of apples, a scoop of the candied almonds, a sprinkle of goat cheese, and then top with as much dressing as you like. Enjoy!